To me a movie is all about story telling. Nothing more nothing less. Technology, stars, budgets, strategy's are all handmaidens to the story, precisely speaking - to how the story is told . Highway is simply the journey of a kidnapper and the kidnapped. 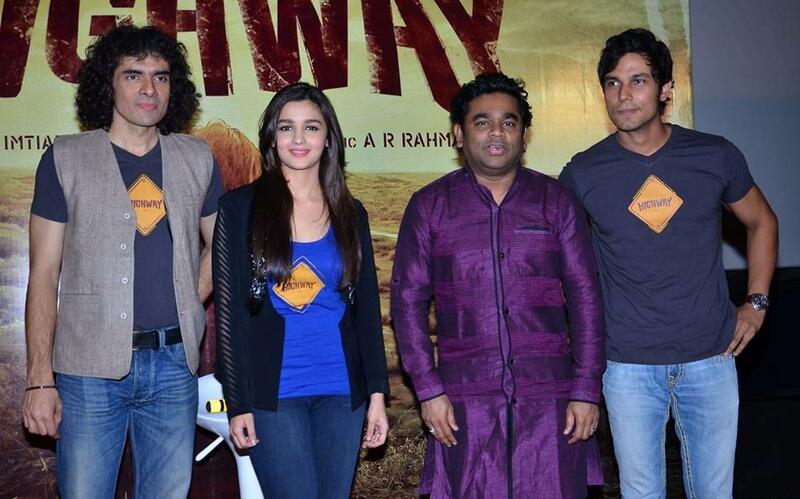 but Director Imtiaz Ali turns it into an experience. Unknowingly you become a co- traveler journeying the highway together. What I found unique is that my emotions compassionately empathized with both, Alia Bhatt the kidnapped and Randeep Hooda the Kidnapper. Two actors who made me believe that they weren't acting. They had got under the skin of Veera Tripathi and Mahabir Bhati. When a Director is bullseye focussed he finds his characters - actors, who leave themselves behind to become the clay muse for the Director to mould.. Alia's innocence, Randeep's 'beaten by life' ruggedness and the humane essence that lies within all of us, unfold transparent on celluloid. There are moments that you just want to hold on to "Alia's spontaneous outburst of dance, Randeep's inner turmoil and the riot of anguished emotions when Alia's beckons him into the dream home that they had found in the mountains. There are many such unforgettable moments on the highway journey and in the parallel child abuse undercurrents that run through the firmament of the film. The music score by AR Rehman, Alia's song in her own voice embellish the story with purity. The snow capped mountains, cascading rivers, salt blown locales, untraveled mountain paths were caressed by the lingering, indulgent camera lens, allowing our eyes to drink in some more of the bewitching landscapes. If a film is all about team every player was committed to excellence. I heard some cinegoers say it was a tad bit slow and here I was so happy that it wasn't rushed. There may have been some glitches but my eyes were misty and I was high on Highway. Imtiaz Ali all strength to you to make the kind of movies you make right from your debut 'Socha na tha' I have loved them all. Saw it on the opening night yesterday and going back to see it again tomorrow. Greedy me. Are my raves for Highway heightened because I went straight thereafter to see Hasee toh Phasee? Just a thought!